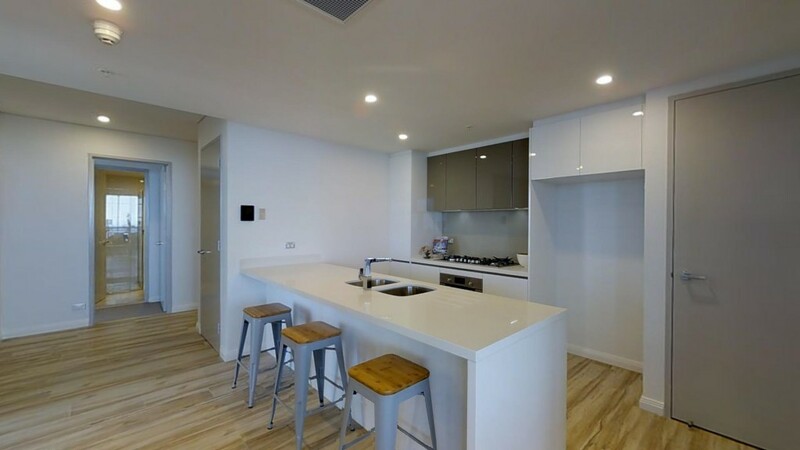 Using 3D Virtual Tours for Real Estate for your property listings? Here are our tips on how to get the most out of your Elite 3D Virtual Tour. 3D Virtual Tours for Real Estate allow potential buyers to see everything the home has to offer. If there are clothes shoved under the bed, or the laundry is cluttered – the 3D floor plan will see it. Therefore homes need to be clean and clear for best results. One option is to put all extra items in the garage. However this means that the garage cannot be viewed in the walkthrough. For some hints and tips on how to prepare the home, visit our blog dedicated to home preparation. We suggest you share this page with home owners prior to us attending the property. This way they can make sure their home looks its best for the 3D virtual tour. The next thing to think about for sellers is the amount of time involved with a 3D virtual tour. For a furnished 1-2 bedroom home, expect the floor planner to be at the property for 60-90 mins. For 3-4 bedroom homes the time required to capture the 3D floor plan is around 90mins to 2 hours. A 5-6 bedroom home usually takes 3-4 hours for a 3D scan to be completed. During this time, it is crucial that no person, animal, or other moving object gets in front of the camera. All items in the home are unable to be moved during the 3D scan. If something is moved, there is a risk that the floor plan will misalign. If the home owner is happy doing so they can go out whilst the floor planner is on the property. This may make them more comfortable as they do not have to worry about getting into shot. However owners are of course welcome to stay. If they choose to stay they may be asked to move around the house during the 3D scan. Animals may need to be confined to the backyard or one room in the house to ensure no sneaky selfies. 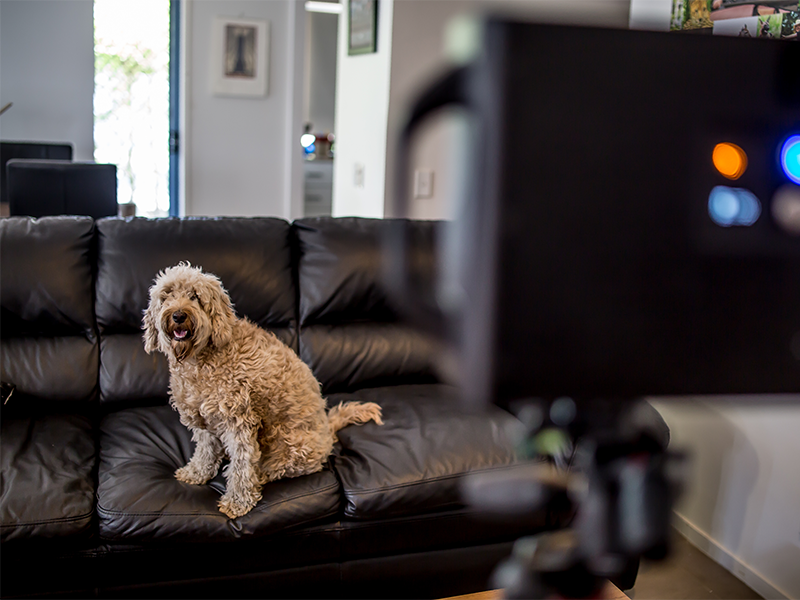 Sneaky selfies may occur if you do not keep a close eye on your pets while the 3D floor planner is on site. 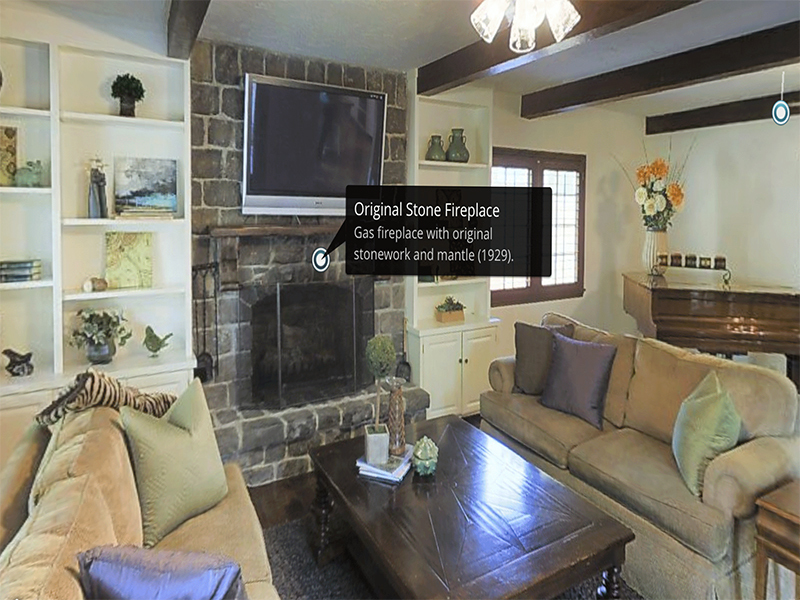 Our 3D Virtual Tours for Real Estate offer the option of ‘tagging’ points of interest in the home. For example, you may want to mention that the kitchen has a brand new kitchen. Maybe you want to point out the cupboard under the stairs. Make sure to let our 3D floor planners know what you would like tagged in the home. 3D Virtual Tours for Real Estate help to protect your precious time and resources. They allow you to only do in person inspections for serious prospects. A side effect of this benefit is that you can expect less people to be attending your open homes on weekends. To help you gage the interest of the home, we will send you through weekly snapshots. You can share the snapshots with the seller to let them know the number of people that have ‘walked through’ the home each week.